Here to help tackle every hurdle with confidence, the updated Fiona sports bra is where absolute comfort and support come together. Streamlined straps adjust in the front to make it easy to get a custom fit on the move, while the soft-padded back closure adjusts for the best bottom band fit and support. Molded, lightweight cups with moderate stretch offer a natural shape. 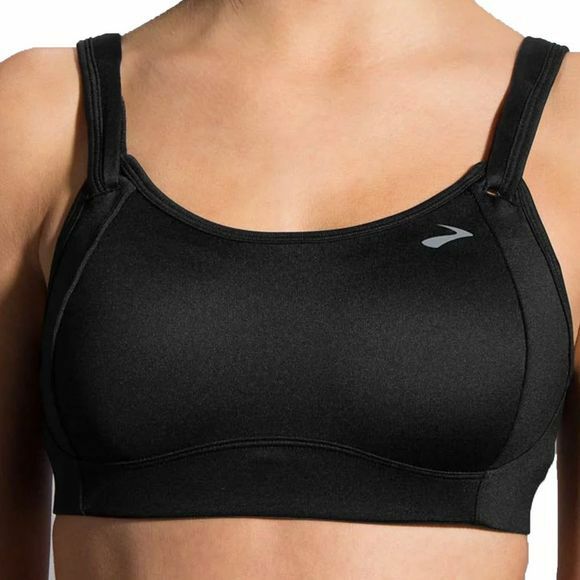 Look no further, this Brooks sports bra blends comfort and support in a fit that works for nearly any body type.